The Museum of Flight: A Collected History, traces the history of the Museum from a group of aviation enthusiast in 1964 whose goal was to restore the last surviving Boeing Model 80A-1 airliner. It traces The Museum's humble incorporation and beginnings at the Seattle Center in 1965 to our current collection and location on Boeing Field as well as our Restoration Center at Paine Field in Everett. One thing stands out clearly; the Museum has been continually growing and evolving, adding aircraft, artifacts, and galleries. The book offers a behind the scenes look at these remarkable artifacts, aircraft and people throughout our history. 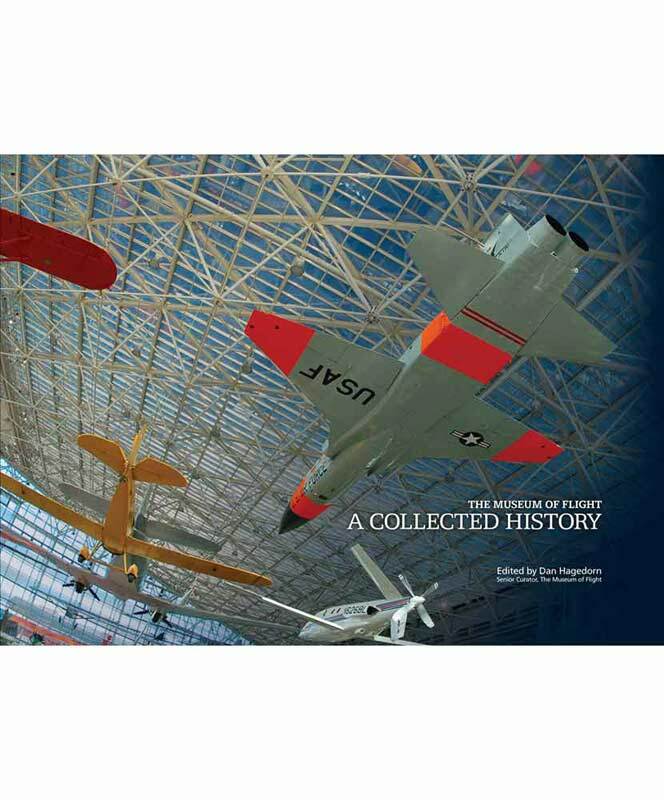 The Museum of Flight: A Collected History was edited by our Senior Curator, Dan Hagedorn. The book features over 400 black and white and color photographs and is 224 pages.